Many people with diabetes are unsure as to how to care for their diabetes. There is often confusion surrounding blood glucose levels and how to monitor them effectively. Good diabetes care and management is an essential part of keeping healthy for people with diabetes. Knowing what your blood sugar levels are, is a key part of understanding your diabetes - as well as understanding the differences between hyperglycemia and hypoglycemia and their respective symptoms. In Type 1, the body is unable to produce any insulin. Type 1 diabetes is an autoimmune disease. An autoimmune disease results when the body's system for fighting infection (the immune system) turns against a part of the body. 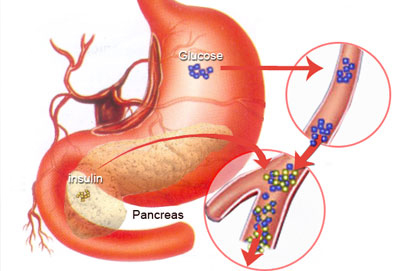 In diabetes, the immune system attacks the insulin-producing beta cells in the pancreas and destroys them. 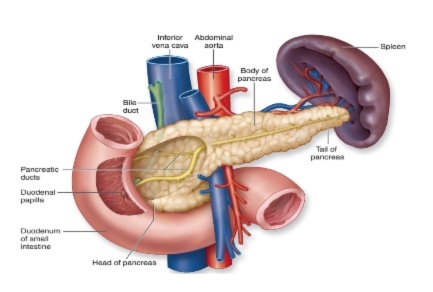 The pancreas then produces little or no insulin. Type 1 diabetes develops most often in children and young adults, but the disorder can appear at any age. Symptoms of type 1 diabetes usually develop over a short period, although beta cell destruction can begin years earlier. Symptoms include increased thirst and urination, constant hunger, weight loss, blurred vision, and extreme fatigue. If not diagnosed and treated with insulin, a person can lapse into a life-threatening diabetic coma, also known as diabetic ketoacidosis. The most common form of diabetes is type 2 diabetes. Type 2 diabetes is often part of a metabolic syndrome that includes obesity, elevated blood pressure, and high levels of blood lipids. When type 2 diabetes is diagnosed, the pancreas is usually producing enough insulin, but, for unknown reasons, the body cannot use the insulin effectively, a condition called insulin resistance. After several years, insulin production decreases. The result is the same as for type 1 diabetes--glucose builds up in the blood and the body cannot make efficient use of its main source of fuel. Over the next 2-3 decades there will be 80 million reproductive-age women with Diabetes of this 20 million will be in India. 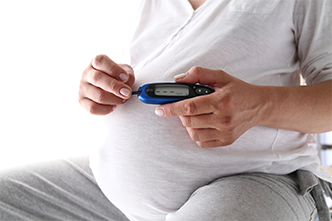 Women diagnosed to have GDM are at increased risk of future diabetes predominantly type 2, as are their children. Higher rate of fetal malformations. ©2018 SwasthyaIndia.com | Powered by ARE InfoTech . All Rights Reserved.